The Chevrolet Silverado has long been one of the most popular and reliable trucks on the road, available in a variety of formats to fit any driver’s needs. The Silverado 1500 is ideal for those who need to balance the abilities of a truck with day-to-day driving needs. The 2018 Silverado 1500 is made of high-strength steel and powered by either a 4.3L V6 or a 5.3L V8 engine, allowing it to get between 285 and 355 horsepower and even tow up to 12,500 pounds. 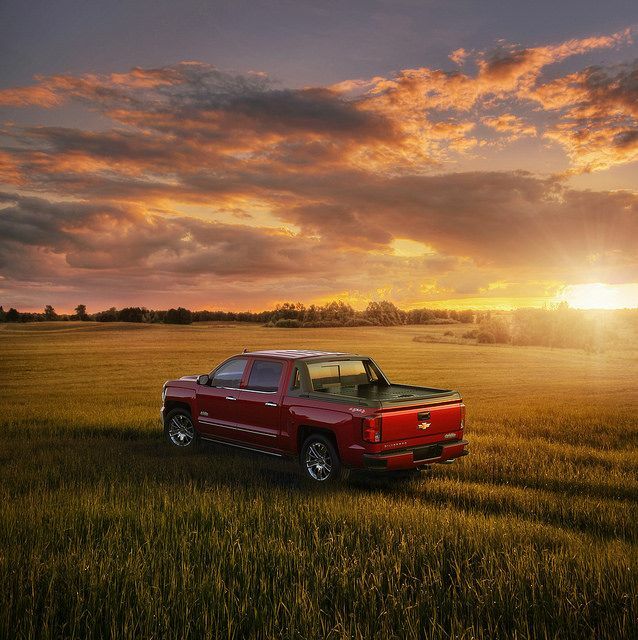 From odd jobs to daily use, the Silverado 1500 is a vehicle you can rely on. 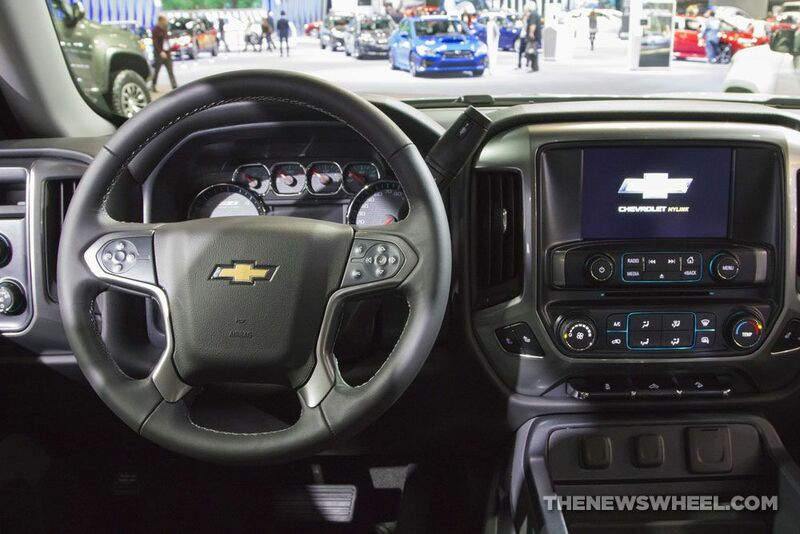 Plus, the new Silverado 1500 is surprisingly fuel-efficient for a truck, putting other trucks in its class to shame. The model gets up to 24 miles per gallon on the highway, which can save you an enormous amount of money in the long run as well as lower your personal impact on the environment. In fact, the Silverado 1500’s power and efficiency isn’t just impressive: it’s the best. The 2018 Chevrolet Silverado 1500 has best-in-class horsepower, towing, and fuel economy, meaning you literally won’t find another vehicle like it on the market. Looking to learn more about the 2018 Chevrolet Silverado 1500? You’re in the right place! Stop by Landmark Chevrolet in Randolph, NY today! The 2018 Chevrolet Silverado 1500 is designed to be the best of the best when it comes to performance and durability. That formula has led to some of the toughest trucks in the industry over the past few years. Now, the Chevrolet Silverado 1500 is switching gears to expand its offerings. The truck features plenty of interactive connectivity technologies designed to change how you drive. No modern vehicle is complete without a versatile infotainment system. The Chevrolet Silverado 1500 boasts Chevrolet MyLink, one of the most innovative connectivity systems in the industry. The system comes paired with either a seven- or eight-inch touchscreen display. The responsive screen features a clear view of the apps available with a simple tap. Wireless charging is slowly rolling out in the automotive industry, but the Chevrolet Silverado 1500 beat every other pickup to the punch. The 2018 Silverado 1500 is the first full-size pickup to offer the advanced technology. Drivers can simply place their compatible smartphone on the charging pad found in the center armrest. Teen Driver mode is an innovative safety feature designed to help encourage safer habits in younger drivers. The system allows parents to set speed alerts and various other controls. The technology is also capable of muting the radio until all front seat occupants are buckled in. An in-vehicle report allows parents to get a closer look at how their teen performed behind the wheel. Seamless connectivity has become a necessity in modern vehicles. The Chevrolet Silverado 1500 does its part with the available built-in 4G LTE Wi-Fi hotspot®. The hotspot is more powerful than that of a smartphone and offers connectivity for up to seven devices. Passengers with compatible devices can surf the web, listen to music, watch videos, and more. Check out the 2018 Chevrolet Silverado 1500 for yourself at Landmark Chevrolet of Randolph!